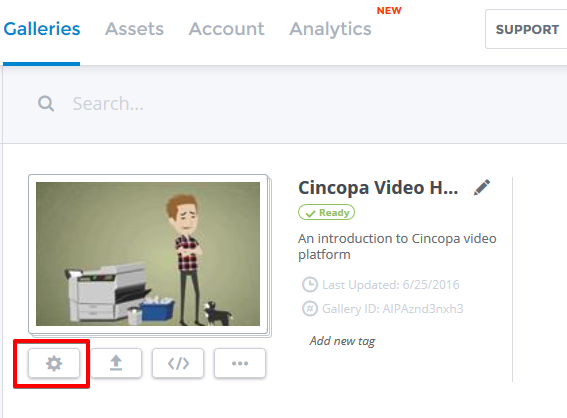 Adding VAST ads to your Cincopa videos unlocks the opportunity to monetize your content. For being able to use this feature, your account must be upgraded to “Corporate” plan. VAST ads can be enabled from the gallery editor. 1. First of all, you should go to the list of your galleries and edit the gallery where you would like to insert the ad. 2. On the “Customize Skin” page, click on the “Advertizing” tab in the left column to expand it. 3. Paste the link to the VAST XML file into the corresponding field. 4. 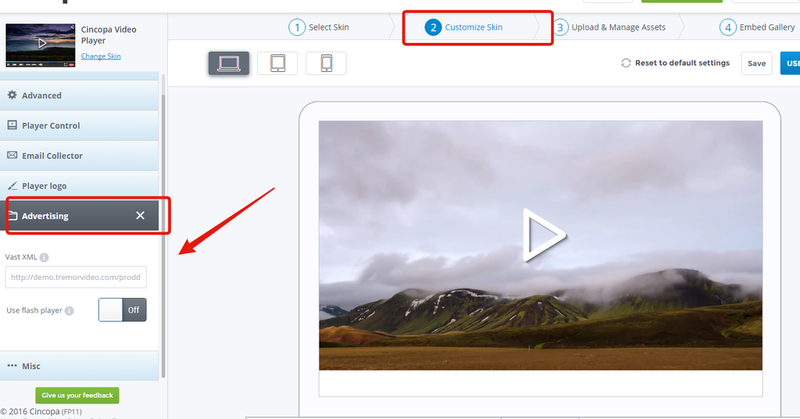 If you want to display VAST ads with .flv videos you can opt to use flash player.